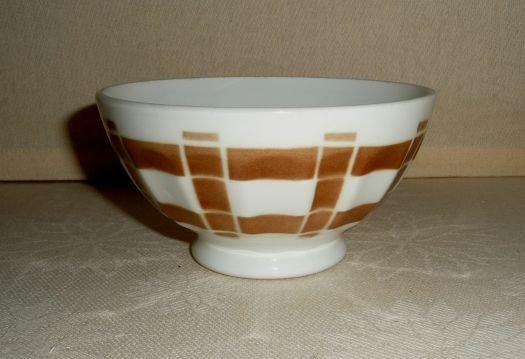 Nice bowl with brown stripes. 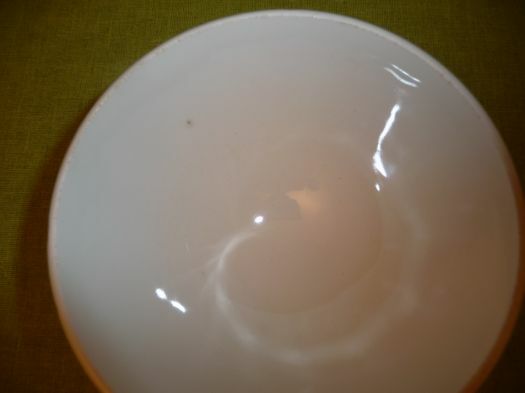 Very good condition, not often used ; only a dark point inside, it is a default during manufacture. 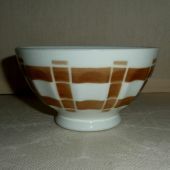 Diameter 13 cm ; height 7 cm.